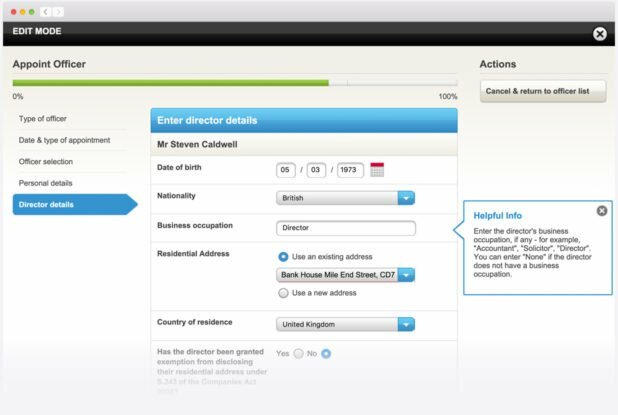 Inform Direct makes it easy for accountants and business owners to manage the records of over 100,000 companies. Inform Direct will help you complete a Confirmation Statement. We've made the confirmation statement incredibly simple so it's not a chore. We'll send you reminders as your company's confirmation statement deadline approaches. You'll be able just to confirm that the company information shown on screen is correct or make any necessary updates. Your confirmation statement will then be automatically compiled and submitted to Companies House. It's easy to process share allotments and transfers, step by step. There's also comprehensive support for a huge range of share reorganisation possibilities. You can even manage dividend payments. Inform Direct produces all the required forms and registers for any share transaction at the touch of a button. You'll also be able to produce professionally branded share certificates for shareholders. Details of current company officers are retrieved electronically from Companies House. Straightforward step by step wizards make it simple to process new officer appointments and terminations. You can also easily update the details of existing officers, or give them access so they can do it themselves! All the right forms are produced and submitted electronically for you. Inform Direct supports a comprehensive array of fully compliant company registers for companies limited by shares, companies limited by guarantee and limited liability partnerships. 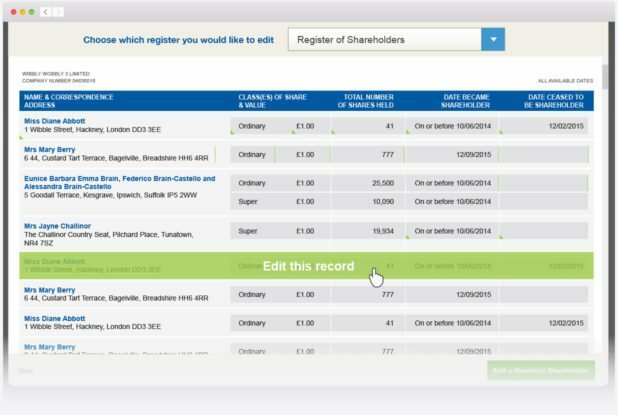 Whenever you make changes to officers, members or details of the company, the registers will be updated automatically - so it's completely effortless to keep your statutory books up to date. With our intuitive step by step wizard, you can enter the required details in minutes and have a new business set up in a few hours. Inform Direct is the easy way to form a company online, whether you’re starting a simple company by yourself or need support for more complex shareholder arrangements. And as you choose exactly what you want, you won’t find yourself paying for anything you don’t need. Inform Direct makes it easy to deal with corporate governance matters and keep your companies compliant, enabling you to maintain a wide range of company information and important dates in one place. Addresses for the company, its officers and shareholders can be updated quickly and easily. Key deadlines are available at a glance, so it’s effortless to keep on top of due dates for one or many companies. Inform Direct calculates the balance sheet date and amounts. Simply confirm they're correct or make any changes needed. The hard work of compiling compliant accounts is then done for you! Once submitted, it's usually just a matter of minutes before the accounts are approved. We'll save a copy of the completed accounts and remind you before the next due date, so you've no need to worry. You can produce a wide range of compliant documents, and where appropriate brand them professionally. Every document you produce is saved in case you want to refer to it later. In a versatile document library, subscribers can upload, store and manage documents, making it easy to keep the paperwork for one or many companies organised, secure and accessible by the right people. Clever automation makes it easy to manage company details. Unique time-saving features and shortcuts help you increase productivity. With everything safely stored in the cloud, there’s no risk of loss if your computer systems fail and no more backups to manage. As well as a wide range of resources, our support team of professionals is here to help you every step of the way. We’ll always go the extra mile. Finally, there’s an intuitive and efficient software solution that helps business owners and directors manage their company statutory records and company administration with ease. 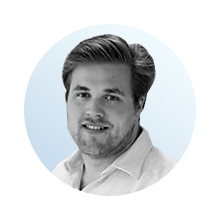 Over half of our team are qualified accountants, so it’s no surprise that we've designed our company secretarial software to make accountants’ lives easier! Inform Direct website is crisp and clear. The support staff are quick to respond when contacted. All the staff are very friendly and the walkthrough over the phone was informative. Everything is in one place and rather than logging on to Companies House with each client’s authentication code one by one it has streamlined all our processes saving a lot of time. It has provided us with a far quicker way to get all our company secretarial work done in one place. I have to say - I was impressed with you Inform Direct when I first started using you. My admiration has only grown. Your platform has enabled me to offer a Company Secretarial product offering to my clients with no stress at all. Your support is simply superb, your platform is neat, intuitive and super slick. You are integral in making sure my firm is on top of all of its filings. Superb. Just register for free and start adding the companies you manage.